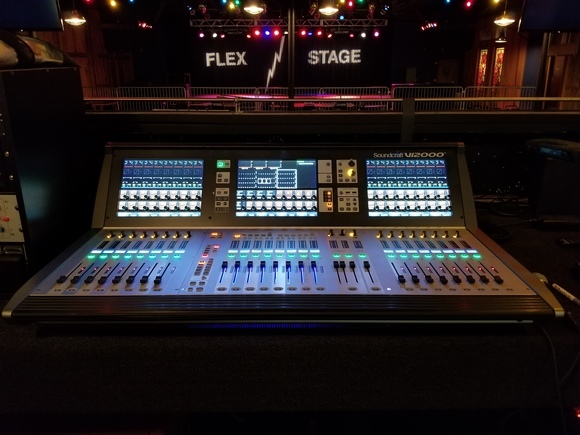 LOS ANGELES, California, USAAs the FOH engineer for American rock/soul/R&B group Fitz and The Tantrums, Aaron Glas has been feverishly touring with the band all over the world, while utilizing a HARMAN Soundcraft Vi3000 digital console and Realtime Rack. Led by vocalists Michael Fitzpatrick and Noelle Scaggs, Fitz and The Tantrums are known for combining multiple musical styles into their own unique sound, and for their high-energy live performances. "Each show is a kaleidoscope of sound and a non-stop dance party demanding fan participation. Each band member is a force to be reckoned with and you just can't take your eyes of Fitz and Noelle," Glas said. The last two years of touring have been in support of the band's 2013 album, More Than Just a Dream. "The production design for the show is fantastic, where the album art is recreated live with video content into an enormous set piece," Glas added. 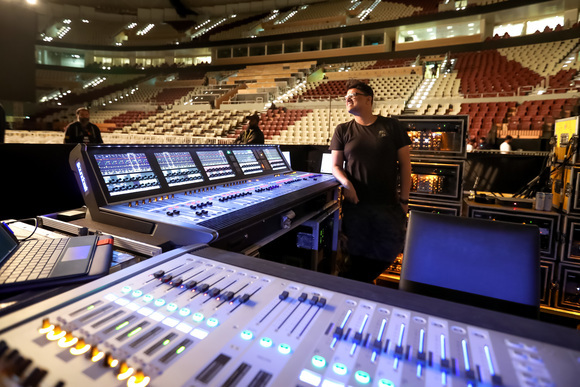 Matching the visual impact of the band's performances with dynamic audio, Glas has been using a Soundcraft Vi3000 with a Realtime Rack at the FOH position. "The Vi3000 shares a Compact Stagebox with the Vi1 at monitors, so it's really efficient. We don't have the need for an analog split or analog snake and it's worked very well for us." While the eclectic nature of Fitz and The Tantrums' music is one of their distinctive qualities, it also poses a series of challenges for Glas and the sound team. "The band can change vibes quickly: they'll move from an old Motown sound to an electronic synth-y feel, and I need to be able to switch instantaneously to keep the sound consistent for the audience," Glas noted. "The snapshots on the console help me with that. I also make changes on the fly right along with the set list and even during different verses and choruses within the same song." 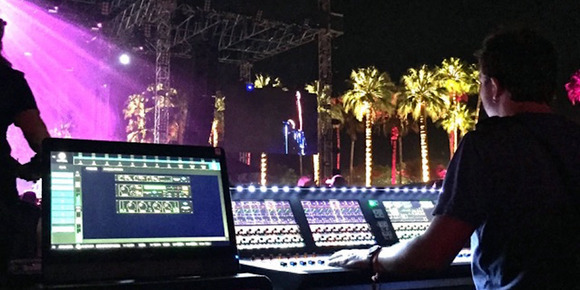 Prior to becoming the FOH engineer for Fitz and The Tantrums, Glas handled monitor duties for the band, and Glas notes that audio quality is the main reason he has chosen Soundcraft consoles for both roles. 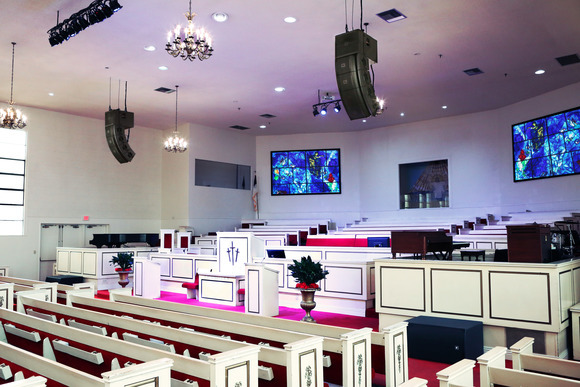 "Soundcraft consoles always sound incredible compared to other digital consoles out there," he said. "I'm also really enjoying the Realtime Rack. Universal Audio makes the best-sounding plugins and now I have an entire library at my disposal. Being able to set it up with the touchscreen and make changes on the fly is a tremendous advantage." Another challenge is the differences in vocal range and style between the band's two lead singers. "I have to keep up with their dynamic ranges and movements of Fitz and Noelle on stage," Glas said. "That's where a cool plugin chain comes in handy. Before using the Realtime Rack, I had an analog plugin chain with a series of compressors and EQs. Now I can achieve the same result [or better!] with the plugins."